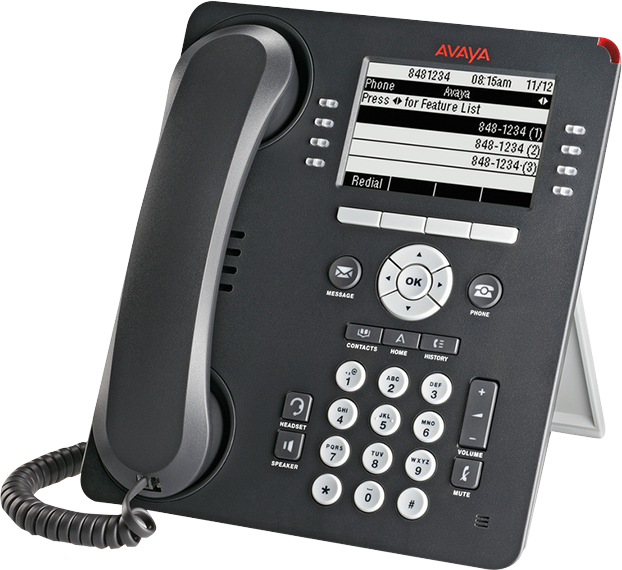 The Avaya 9508 phone is the executive model in the premium Avaya 9500 digital series. With it’s large, clear display and easy to use features it’s one of the best selling digital phones Avaya offers. It’s a great option for staff that use the phone a lot. For more information about the Avaya 9508 phone please read below. The Avaya 9508 phone is the most popular handset in the Avaya premium 9500 digital series (the other model is the 9504). It offers all the functionality of the cheaper 1408 phone but rather than having paper labels it offers a large LCD screen where everything is clearly visible. If you prefer the more traditional pbx handset style then the 1408 is probably the better option. For customers it really comes down to personal preferences and the looks of the phone because there isn't that much difference really in price for the premium 9508. For general features the 9508 phone is very similar to the 9504 but the screen is twice the size and there are more visible on screen buttons that make the handset easier for daily use. You can toggle across 3 different screens (8 items per screen) to see the equivalent of 24 buttons. If that's not enough you can then add an optional 12 button DSS console with LCD screen to provide 96 programmable buttons. The fixed-feature keys means your most commonly used functions, like call history, contact lists and voicemail are just a touch away. Plus there are 8 programmable feature buttons with dual colour LEDs to let you see instantly which phone lines and/or staff are available, depending on how you have chosen to customise the handset screen display for the buttons. A good phone handset should be easy to and intuitive to use which the Avaya 9508 digital phone handset is. It offers a very simple interface which any staff member will be able to learn in minutes. Plus the easy-to-read, large backlit display provides all important call information at a glance, even shifting the order of menu options to prioritise the most commonly used features. In a typical pbx office deployment the Avaya 9508 office phone normally makes up the bulk of handsets in the mix. The cheaper 9504 is a better choice for choice for workshops, kitchen areas, IT rooms, retail floors or for staff that really only need a more basic phone option. In this way the perfect mix of handsets can be created, lowering the TCO ownership and making the Avaya system more affordable than ever. If you're after the more budget offerings then look to the 1408 and 1403 as equivalents. If you're looking to deploy a full IP solution then check out the Avaya 9600 IP series and the 9608 IP, 9621G IP and 9641G IP handsets in particular.